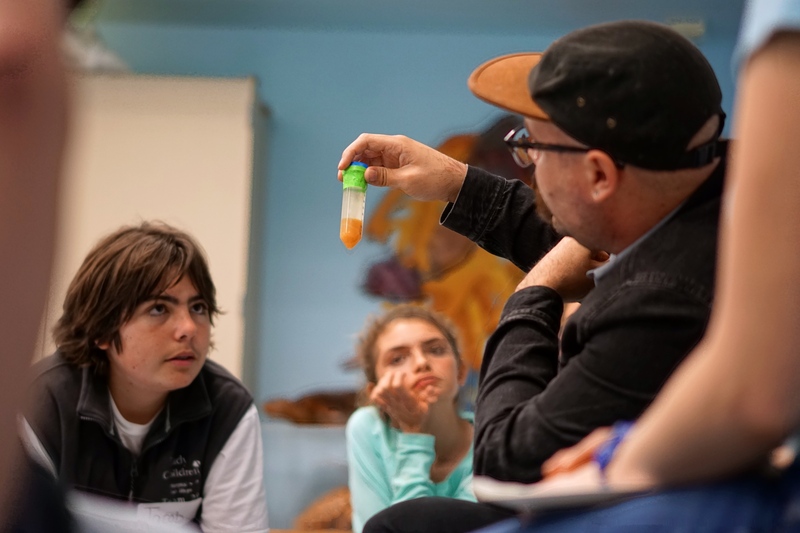 The first year of Explorers Club took us to new worlds – into the dark abyss of the ocean, the invisible domain of microbes, and the realm of slimy defenses. 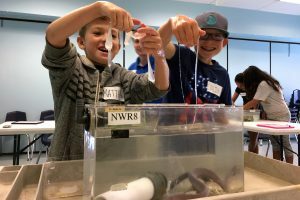 Inspired by Scripps Oceanography research, we learned more about our world by getting up-close to the science and the fun that helps us understand and protect our planet. After our first year exploring, we can’t wait for what next year will bring! Enjoy some of our favorite moments from this year and we hope you’ll join us for Explorers Club next fall! At Explorers Club: Slime and Snot, we discovered how slime can be important for an animal’s survival. Here, explorers meet a slimy hagfish! 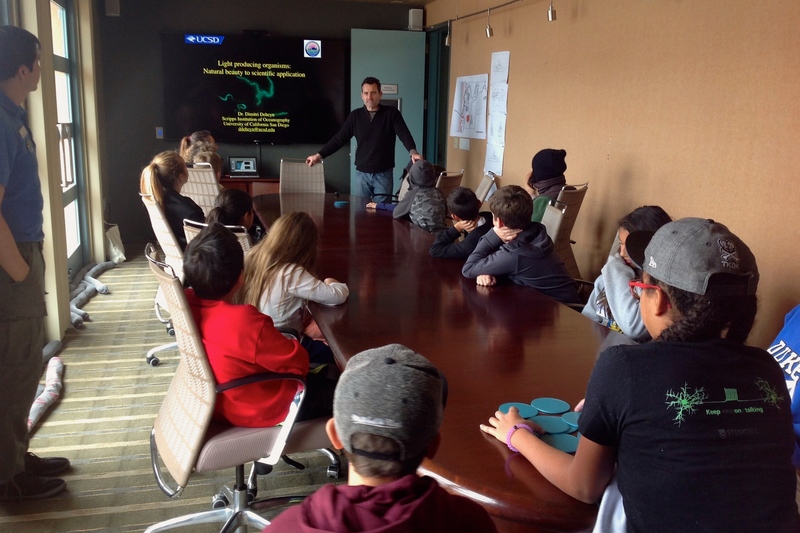 Explorers Club features special meetings with Scripps scientists. At Explorers Club: Glow with the Flow, explorers meet a Scripps expert who studies glowing creatures! Explorers get an insiders look into research by Scripps Graduate Students at Explorers Club: The Secret World of Microbes. 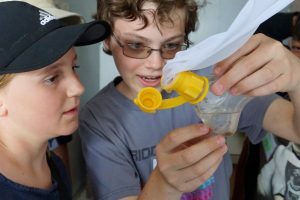 At Explorers Club: Pier Into Science, explorers examine plankton samples from the end of Scripps Pier.